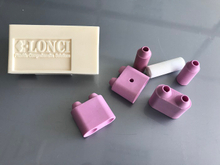 Bullet Proof Ceramics Lonci provides specialized ceramic components for defense and security applications. Each Defense and Armor Component product is designed and manufactured for providing reliable, lightweight, and well-tested service. 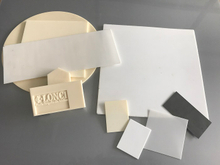 Ceramic Substrate Lonci developed the ceramic substrates and continues to provide economical yet durable substrates for hybrid integrated circuits, surface mount devices, sensors, and other electronics. We help you design a ceramic substrate tailored to your application. 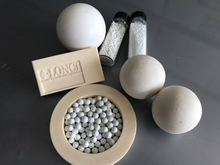 Ceramic balls Lonci alumina (aluminum oxide) balls are abrasion resistant, high hardness, and thermally stable at temperatures up to 1800°C — useful in oil & gas down-hole, chemical pump applications, and as part of valves, bearings, flow meters, and more. Ceramic Bearing Components Lonci offers a full line of bearing components and structural components for equipment and machine. Insulators Aluminum insulator has a very high thermal conductivity, allowing this unique ceramic to spread and get rid of heat quickly. 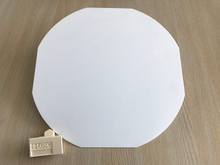 This allows electronic components to maintain cooler operating temperatures while still providing the excellent electrical insulation of ceramic insulators. 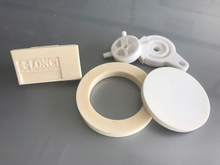 Substrates Lonci developed the ceramic substrates and continues to provide economical yet durable substrates for you specific requirement. Textiles of Ceramics Ceramics are used in various textile machines as guide parts, thread processing nozzles, oiling nozzles, rollers and twister parts. In addition to wear resistance, ceramics can minimize damage to high-speed yarns due to their exceptionally low friction. 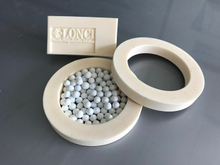 Tubes & Rods Lonci offers a wide variety of tubes and rods manufactured from high-performance technical ceramic materials, including alumina and zirconia.